Third seed Cilic out of Wimbledon…. 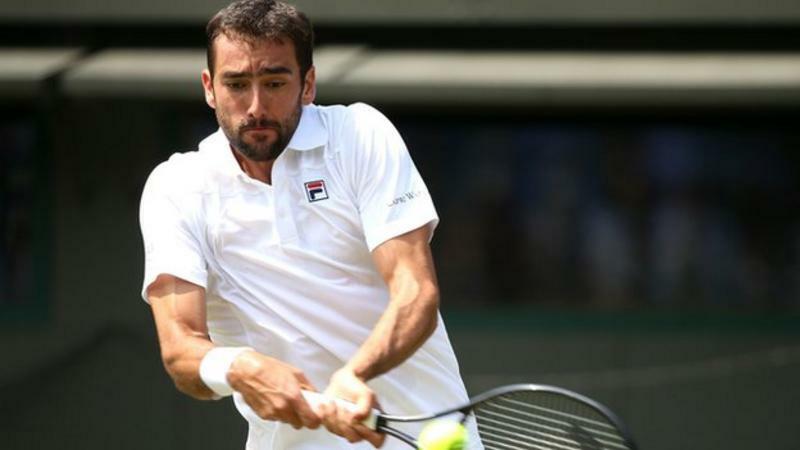 Third seed Marin Cilic let a two-set lead slip as he was knocked out in the second round of Wimbledon by Argentina’s Guido Pella. Last year’s beaten finalist was well in control before rain halted proceedings on Wednesday evening. But on the resumption, Pella was the better, wrapping up the third set and taking the fourth on a tie-break. And the world number 82 held his nerve to convert his fourth match point and win 3-6 1-6 6-4 7-6 (7-4) 7-5.